How Applicable Is BUMO, a Commercial-Grade Public Blockchain Aiming to Build a Value Ecosystem? As a core technology of the internet of value, blockchain has been gaining traction in all fields. Although its commercial ecosystem is developing continuously, the blockchain is still confronted with many obstacles. Blockchain platforms still only allow a relatively small number of transactions. For example, Ethereum and Bitcoin, two major players in this field, can only complete 30-40 and 7 transactions per second respectively, which is a far cry from the actual demands in business. Though EOS can deal with more deals, it’s unstable in network operation. So how can we realize a stable network while ensuring high TPS? It is learned that BUMO, a three-month-old commercial-grade public blockchain, has laid a plan to address the tricky problem through technological means. This is also the only blockchain program initiated by Bubi, the ace firm boasting the most patents involving blockchain across the globe. By way of services featuring high-performance, quick design and development of systems and DAC “cold-starting”, BUMO is building an infrastructure featured by ubiquitous and trusted value transfer. This enable many decentralized applications in the field of digital assets, IoT and sharing economy etc. to deploy on the chain of BUMO in a short amount of time. Technically speaking, BUMO has adopted multiple chains, a two-layer consensus algorithm and an inter-chain protocol, ensuring stable performance while improving scalability and addressing the phenomenon of “isolated islands of value”. Besides, BUMO’s released figure of TPS is 2000-3000, which can satisfy the needs from common scenarios of all sorts. Therefore, according to BUMO, it has already reached a partnership over a dozen of e-commerce programs in technology, covering the fields of agricultural produce tracking, tourism membership and commercial logistics management and so on, involving autonomous shopping, community e-commerce, cross-border trade and online advertising. In terms of ecosystem construction, BUMO plans to build a sharing ecosystem and address the problem of great difficulty for application developing, via on-chain governance, token-economy and interconnected applications. 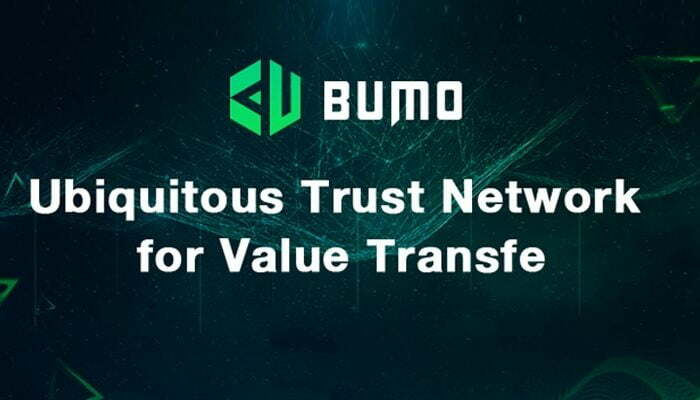 The BUMO team said that the technology has been completed, including exchanges, wallets and API for third-party developers, which will be attracted to join BUMO’s trust ecosystem. BUMO also has its own definition for the industry’s standard of commercial-grade public blockchain: reassuring technology, sufficient performance, strong community, complete ecosystem and reliable teamwork. Safety is the technical direction of the BUMO team, and its safety system has been tested by China’s national testing center. This is not the common practice when it comes to the blockchain networks where accidents occur frequently. Co-founder Li Sicheng said that since BUMO’s main chain started operation, its performance has been stable; there has no problem in the projects in cooperation with other parties. Regarding financing, the team has racked up nearly USD20 million from multiple organizations including QF Capital, LD Capital, LinkVC, DT Capital Partners, Innovation Angel Fund, DL Capitals, and JD Capital. For the moment the team has around 100 members. Co-founder Steven Lee is a veteran in internet, graduating from the Department of Technological Physics of Peking University and completing his MBA program at the university’s Guanghua School of Management. Steven once worked for Tencent and Kongzhong Cooperation, and now he is responsible for the daily operation of the foundation. Co-founder Guo Qiang is an early bird in blockchain; also an investor in the industry. He is responsible for affairs related to ecosystem, global community and investment.